I love these, especially the sweater in the last one and the gloves! The color pallet is gorgeous! Great snow photos. And she doesn't even look COLD. Her red hair looks so RED against the white snow. Nice work. Merry Christmas to you both. Aaaah! These photos are absolutely amazing! SNOW! I LOVE IT! I have a new post titled 'Adolescent Scent' and I would adore for you to check it out! Love these photos, very beautiful! Wonderful photos. Have a wonderful Cxmas my dear friend. Your friend's hair is gorgeous. Ah... beautiful, love! Look at all the snow! Gorgeous shots. And the previous of you are stunning as well. well, this looks so professional!! your friend is wonderful in these outfits, which by the way are so special and appropriate for a christmas post! especially the long beige/off-white skirt is amaaaazing! have a merry merry xmas with lots of fun and people you love! It is quite like Narnia. A beautiful, magical winter wonderland, and the outfits are a perfect compliment. Merry Christmas and continued healing to you, Roz! And hoping your dad gets well soon. Your friend Roz looks like a real Snegurochka (Russian Santa's -Grandfather Frost's) granddaughter! Your friend is beautiful! Love her hair. Which Doctor Zhivago did you see? I love the one with Keira Knightly in it! Actually, it's one of my favorite movies. what a great shoot! kudos to both of you for braving -8 deg celcius to do a shoot. 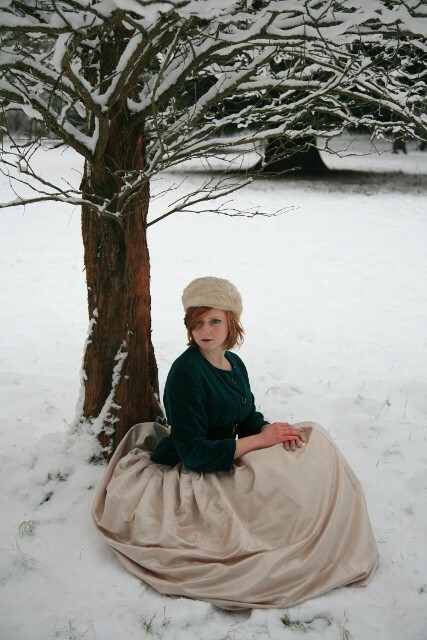 the photos turned out lovely-my favourite shot is the one of her in a tree! I love the knitted jumper- it looks so perfect on her! 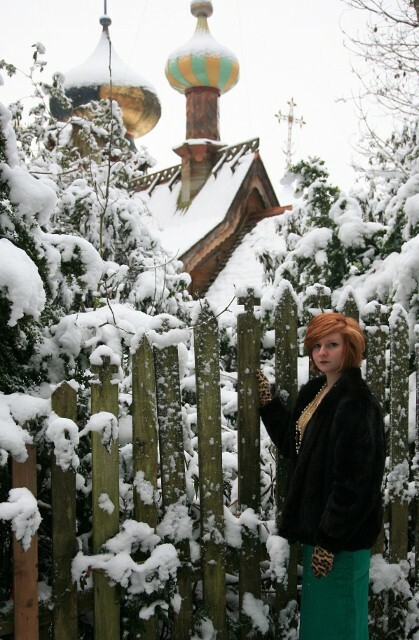 The scenery is beautiful and very Narnia! I recently watched Doctor Zhivago as it's my grandmas favourite film and although it was quite hard to get into I ended up loving it. This is an amazing photo shoot! The stylish is superb and complements the beautiful snowy environment so well! GORGEOUS! And yes, it is so Narnia! Lovely! I love the whimsical house in the background!